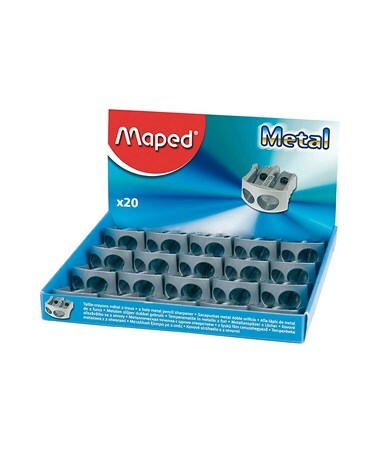 The Maped Double-Hole Metal Wedge Sharpener is a functional tool for all pencil sharpening needs. 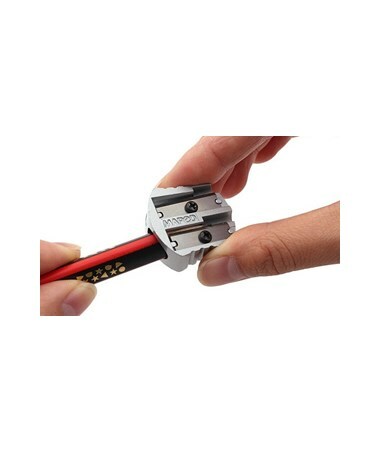 With its two holes that accommodate both standard pencils and larger ones, it is ideal for students, artists, hobbyists, writers, and other professionals. 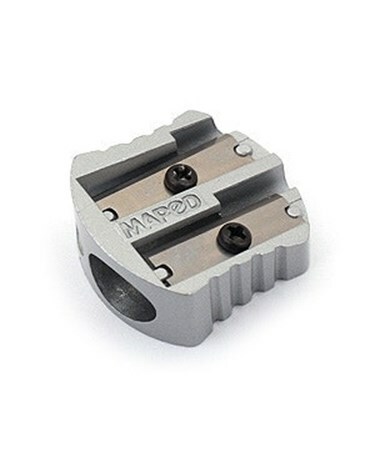 Its wedge shape allows easy and non-slip grip. 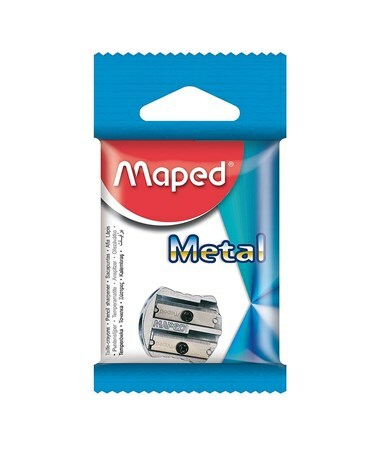 The Maped Double-Hole Metal Wedge Sharpener is durable to withstand heavy-duty sharpening. 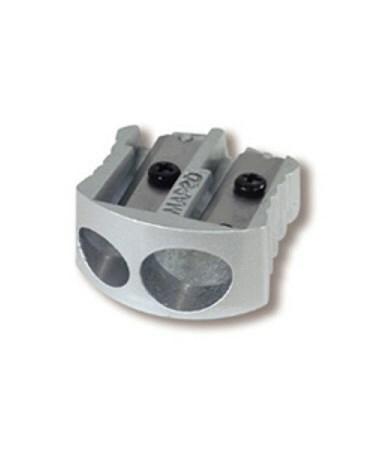 It is made of metal material for long-lasting performance. With its convenient size, it is portable and hassle-free to carry anywhere. 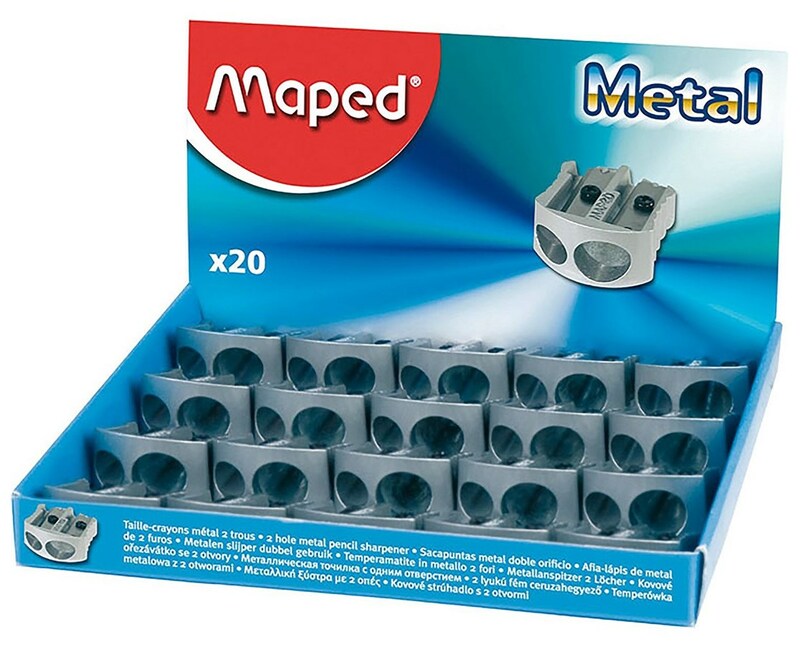 It is available individually or in a box of 20 to suit different needs. It comes in silver color. 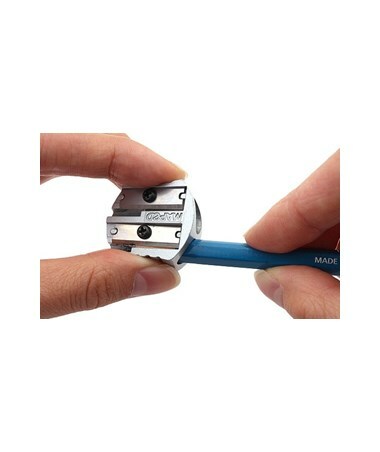 The Maped Double-Hole Metal Wedge Sharpener comes in two package options. Please select your preference from the drop-down menu above.